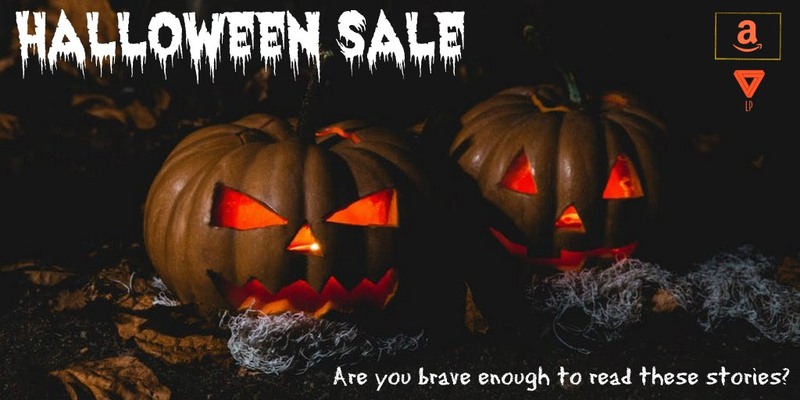 The Nurse Blood ebook by Rebecca Besser is on sale for $0.99 from October 26th-30th as part of Limitless Publishing’s Halloween Sale! Limitless Publishing also has other titles on sale on these dates! Check out their titles on Amazon to find others. Agent Croce watched the man she and Agent McCoy had arrested at the hospital through the one way mirror. He looked pathetic. He’d started crying when they’d clamped the cuffs on him. For his one call, he’d dialed an unlabeled number in his cell phone. From his constantly deteriorating mental state, she assumed he couldn’t get a hold of whomever he’d been trying to contact. They’d run the number and discovered it was an untraceable burner; Agent Limmon was trying to track down the towers the number had used while in the area. They suspected it was someone he’d been working with, probably the nurse. Croce opened the door to enter the interrogation room and stepped through to approach their prisoner. Limmon followed her and closed the door behind himself. Croce sat down across from the man they were preparing to interrogate and opened the file she’d been holding. Limmon stood back a little from the table and slightly to the side to observe. Limmon watched the man as she spoke – he seemed to slump down more and more with each word. The man seemed to know he was defeated, that there was no hope. He almost felt sorry for the man…almost. When Miles didn’t respond, Croce spoke again. For the first time Miles lifted his head and looked the agent in the eyes – his were filled with tears. “Her name is Sonya,” he said in a shaky voice. “She said she loved me…” He broke down and started sobbing openly as he cried. Knowing that the interview was being video and audio recorded, Croce didn’t pause to write it down. “Is Sonya her real name?” she asked. “I don’t know…” he gasped out. “Do you know her last name?” Croce asked. Of course she knew the woman’s name from the files they’d collected at the hospital, but she wanted confirmation. Miles nodded and leaned forward to wipe tears off his face with his tethered hands. Croce slid a pen and piece of paper across the table to him. Croce handed the paper to Limmon when Miles slid it and the pen back across the table. Limmon read it and nodded to Croce; it was the address they had for Sonya from the hospital’s employee files. He turned, opened the door to the adjoining room, stepped through, closed the door, and pulled out his cell phone. He called Agent McCoy to let him know that the name and address they had for the woman was the right information. After ending the call, he reentered the interrogation room. “You know where the building they were using is?” Limmon blurted out, unable to stop himself. “Yes,” Miles said with wide eyes, surprised by the sudden outburst from the usually silent man. Croce slid the paper and pen back across the table to Miles. While he was writing, Croce looked up at Limmon, smiled, and winked. They were finally getting somewhere in the investigation that had been stale for too long. They finally felt like they had a chance at catching the perps who always seemed just out of their reach.